This four letter word reminds one of the often used expressions like, “What time is it?”, “I don’t have time for that!”, “Is it the right time to talk?”, “Time is money” and so on. 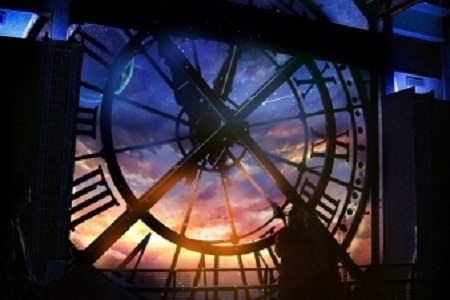 What is our understanding of time, not in the scientific sense, but as a relative experience? The ultimate physical experience everyone is seeking whether through food, music or any other means of experience hunting is timelessness. It is the same feeling a music lover experiences between two notes, a foodie experiences when he lets the taste linger on his tongue by closing eyes, a workaholic experiences when he is doing intense work, a sprinter experiences when he sees everything passing by in a blur and a mystic experiences every moment. We act and react every day. Have you noticed that some actions seem to drag while others workout easily? Things that we hate doing or consider nothing more than a formality always linger longer than wanted. On the contrary, we are curious about some things and in the attempt to find out more we seem to lose our sense of time. Don’t we forget our constant sense of independent identity while being engrossed in something ordinary as reading a work of fiction? Our sense of time depends on the relation to action performed. Why do children love to play on and on? They are fascinated by something which makes them feel timeless. It is the same reason which makes an adult cultivate hobby. Play and research have something in common. It has been put well in words by A. Einstein, “If we knew what it was we were doing, it would not be called research, would it?” If carefully observed we can notice that we begin playing as an infant for no purpose as such. He/she is always interacting with surrounding objects. Turning them upside down, opening them, plainly looking at them, and trying to find their taste. He/she is sensitive towards everything. Later, as adults, thoughts dominate our behavior and senses take a back seat and our sensitivity decreases. This sense of play if carefully cultivated through teenage and adulthood can result in an altogether different perspective towards of everyday life. This is no more another theory. Organisations like Google(London) have worked towards this by making their offices ‘cool’ which includes having their office designed to look like a sci-fi spaceship interior, underground-style maps showing where meeting rooms are located and an in-house cinema. The term intelligence has a context dependent definition each time it is used. Intelligence is simply a guide to action. An incident from Sir Isaac Newton’s life is worth noting: Isaac was taken out of the school by his mother as she couldn’t afford to support his schooling. He was discovered misfit as a farmer when he began working on the farm. Curiously he followed everything that interested him. When he was back to school after a gap of two years his teachers noticed that the years of idleness have enhanced rather than diminished his intelligence! A sense of solitude is necessary for intelligence to develop. In a lighter vein what is time after all? A four letter English word everyone is afraid of losing all the ‘time’.